Customer Experience Today — Let’s Cut to the Chase. In the past you had weeks to close a deal. Today, it might only take 60 seconds – and if you haven’t convinced a customer in this time, you lose out. So, what can you do to keep their attention? A consistent experience no matter the device, personalized content and offers, multiple payment and delivery options across every channel: If you can impress your customers and be relevant to them, you create the chance to build strong, long-term customer relationships. It’s high time for a truly integrated, outstanding customer experience. Today, it’s all about knowing what the customer wants even before they do. You need a reliable, in-depth profile for each of your customers to create targeted one-on-one campaigns. Evaluating every marketing activity in real time can help you make fast and accurate decisions about campaigns and continuously adapt to customer interests. See how you can personalize your marketing to the customer for the long run with SAP Marketing Cloud. Customers today know as much or even more than your sales team. You therefore need detailed insights into your portfolio as well as your customers themselves to make relevant offers and convince them to buy. With data like purchase histories and customer preferences you can personalize sales tactics and maintain customer relationships. With information on products they already have, or agreements made by your colleagues, you make sure they receive the best possible experience and also save valuable time. Find out how to speed up sales cycles with less effort and build relationships that last with SAP Sales Cloud. In B2B and B2C, omni-channel is the new standard. Customers expect a convenient and intuitive experience no matter when or at which touchpoint they reach your company. You need to deliver a unified, high-quality experience across all channels whether online or in store. Make your way in today’s complicated market with SAP Commerce Cloud – a feature-rich platform that provides end-to-end commerce processes and real-time analytics. From first contact to billing, your customers expect excellent service on-demand – every time, everywhere – whether via call center, social media, or technical on-site support. Your service team needs to have instant access to customer information in order to offer a service that meets the needs of today’s customers. Be prepared to serve them quickly and effectively with SAP Service Cloud. Alongside a high-performing, stable IT environment your colleagues demand constant innovation. While implementing new solutions puts stress on your department, adapting to the market is crucial to survive. Harmonize your IT landscape with an intuitive suite like SAP C/4HANA and allow managed services do the mundane work to give your team more time for innovation. Understand the value and potential of SAP Customer Experience in our Buyer’s Guide. Deep market insights, key feature lists, and FAQs explained by our itelligence experts will help you learn how you can better engage your customers. Question: What’s the difference between SAP Customer Experience and SAP C/4HANA, and where does SAP Hybris come into play? Answer: SAP Customer Experience, previously called SAP Hybris, is a brand of SAP. SAP C/4HANA is the complete software suite offered by SAP Customer Experience which consists of different modules for commerce, sales, customer service, marketing, and customer profile management. Question: How does SAP C/4HANA fit into the SAP strategy? Answer: SAP C/4HANA can be seen as the front-office counterpart to SAP S/4HANA, which deals with back-office processes. Both seamlessly integrate with each other into your IT landscape using standard interfaces provided by SAP, thereby fitting perfectly into the existing SAP world. Question: I barely have enough IT resources to maintain my current landscape. How could I switch to SAP C/4HANA? Answer: SAP C/4HANA is available on-premise and in the cloud, with a variety of hosting options, allowing customers to continue to maintain their existing landscape with ease. Furthermore, specialist partners like itelligence are available to implement different modules for you. Understanding customer expectations and ensuring a positive experience is key to achieving customer loyalty in the modern business landscape. With SAP C/4HANA you can finally put your customers at the center of your business and create a unique brand experience. Running SAP solutions is becoming more complex and demanding. As an experienced SAP partner, we support you with personalized consultation, IT implementation, services, and operating models. Real-time marketing is the holy grail of advertising. Companies impress customers with marketing campaigns that are precisely tailored to specific triggers – and gain much in return. Lasting customer relationships are rare in the digital age – the competition is always just one click away. New technologies and innovative methods enable customer loyalty – even online. Customers no longer only shop online or offline. They switch between various channels and not all retailers are prepared for this. 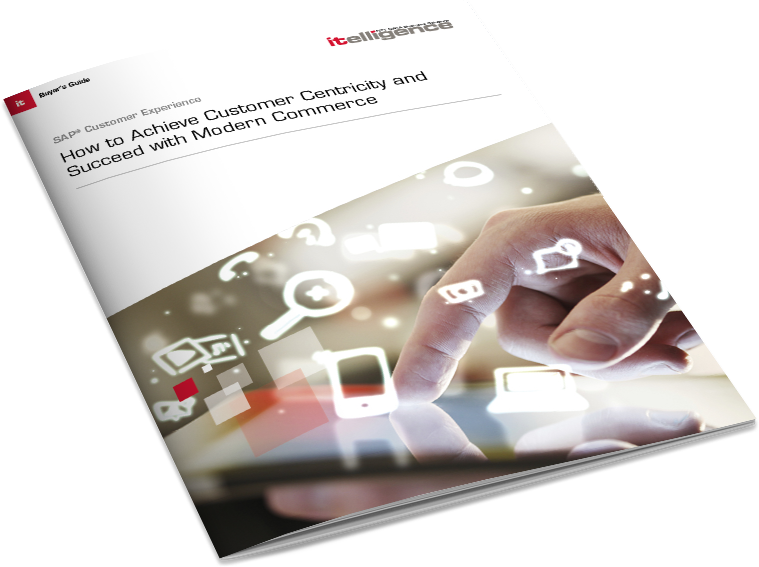 Having the right omnichannel strategy brings vast competitive advantage. Customer service needs to be fast and efficient. But it can only be perfect when it anticipates and solves problems. With the right technology working in the background, automated customer service can transform service into a selling point. Customers in the globalized, digital world want to buy more than just a product. With a customer-centric IT strategy, you put customer experience at the center of your business model and control the success of your brand.